Hey girls!! 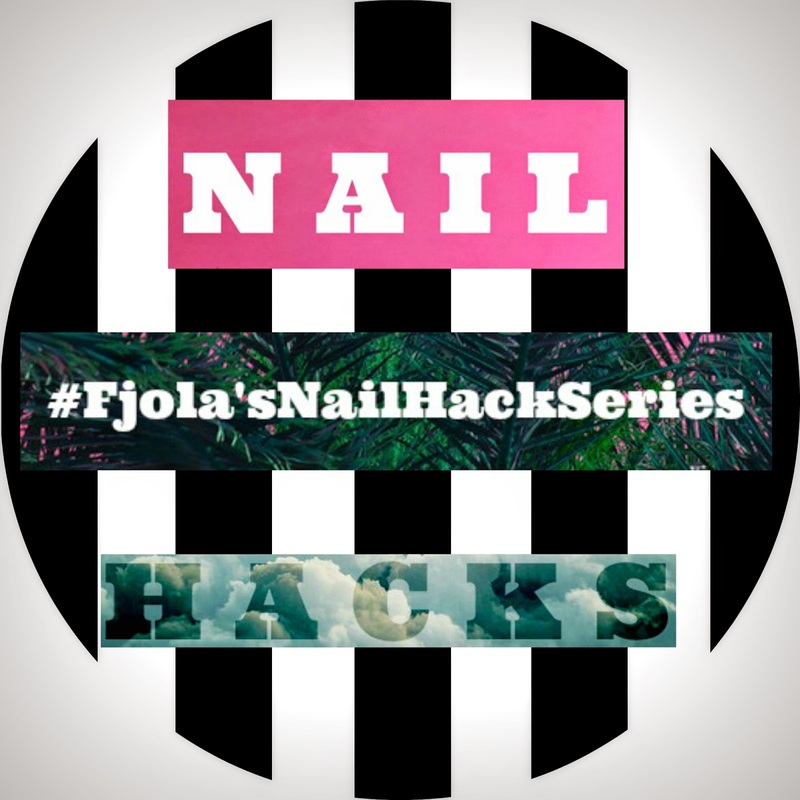 Welcome to my brand new #Fjola'sNailHackSeries !!! As you can see from the tittle, on today'spost, we are going to learn some easy nail hacks. 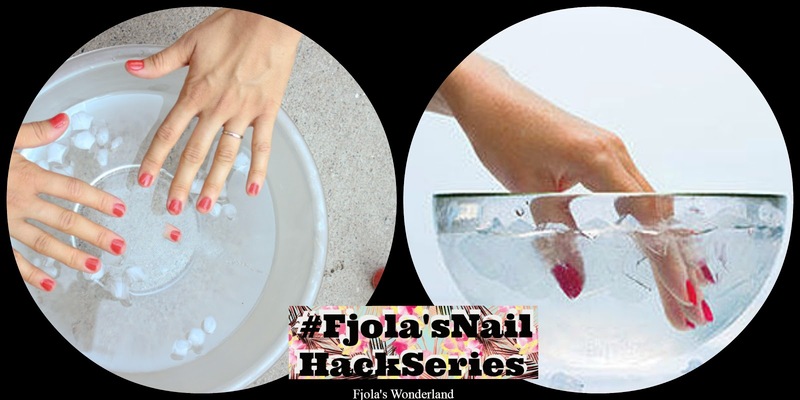 If you are wondering nail hacks is basically a nail tips or tricks to do your nails.Nail hacks can help you save money, do yourmanicure like a pro and help you with any kind of struggle you may have doing you nails. What you have to do in order to achieve a great glitter mani. 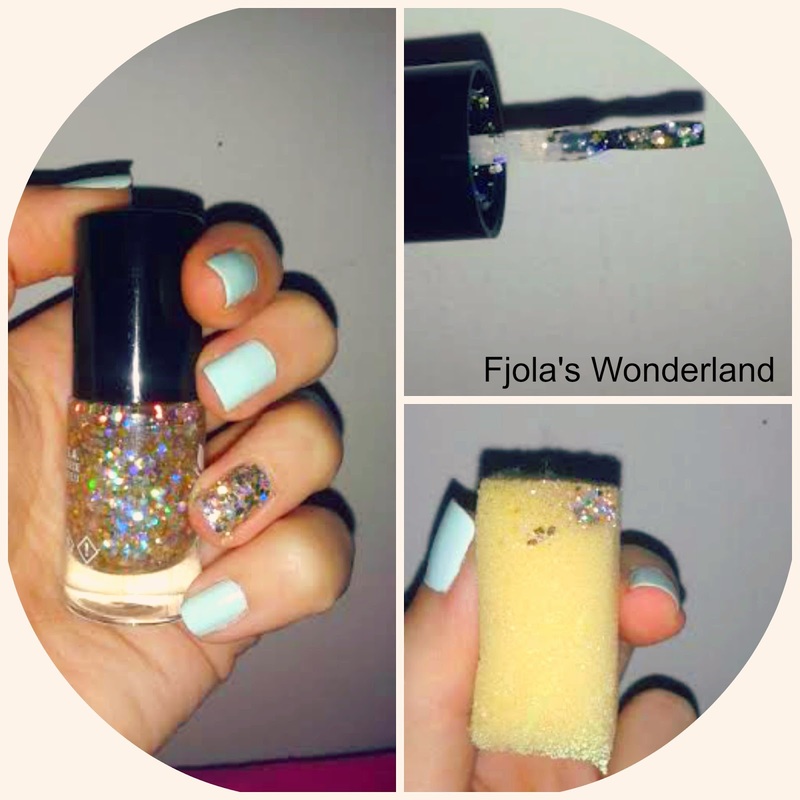 Apply your trasparent colour that is gonna be under the glitter nail polish.Then take your fav glitter polish and put a small amount on a sponge. In dubbing motions put it on your nail. Continue the process tilyou are satisfied with the look. In the end apply a generous amount of top coat and your done. After we remove a dark nail polish we get this reddish or yellowish or brownish stain on our nails. And they look awful. So to get rid of this stain use your toothpaste...yeeeeep that's right !!! your toothpaste!!!! 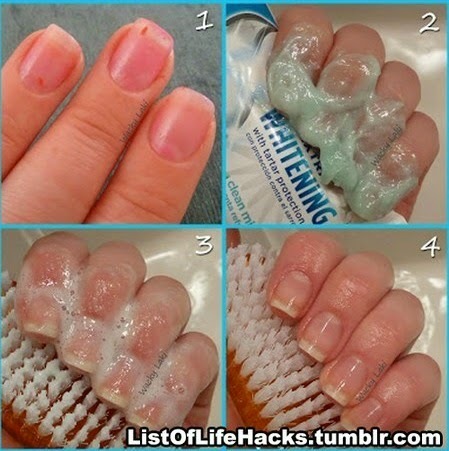 Apply a small amount of toothpaste on each nail and let it on about 15-20' min ( I prefer to cover them with a foil for better results). Then wash your hands and apply your fave cuticle oil or any kind of oil. Are in a hurry, but you just did your mani and don't want to messed up?! Then take a bowl with cold water and put in some ice. Dip your fingers about 10-15' min and will help your nails dry faster. I usually do this step on summer , where my nails take loger time to dry than winter.